That title makes you wonder doesn't it? 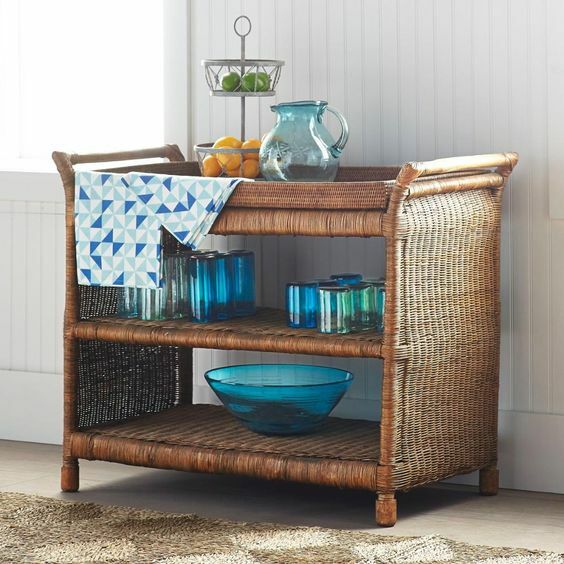 Several weeks ago I found a wicker bar on the app Offer Up for literally nothing. I messaged the listing party because Mollie absolutely loved it. 90% of her life is in a storage unit a mile from our house. She's saving to move downtown but it is ridiculous to find anything affordable in ATL. The guy messaged back. Yes, the price was correct. I messaged back that I wanted it get it for my daughter but it happened to be the week I was in charge of a mission fundraiser yard sale at church. I was literally camped out at church nonstop. after my loooong yard sale hours. I messaged back that it looked like I could get there in 35 to 45 minutes. We agreed on the place and time. The time: Friday afternoon about 5. Have you ever been in Atlanta at 5 pm??? I was late. He waited. It missed fitting in my car by l inch. For real. My husband was out of town. I had driven forever to reach the meeting place. I had a comforter in the car. The guy was willing to follow me to the next parking lot so I could buy rope to tie the wicker bar to the top of my car. Probably won't tell my husband this part. they had for an outrageous price. It was somewhat secure after we hefted it on top of my car and used our limited number of bungee cords. The plan was for me to drive to the Wal-Mart .5 miles down the road and buy more bungees. and personally tied that thing up like a roped steer. That's the picture I should have taken!!! And then in crazy Friday afternoon traffic I started home.... at 25 mph. It was a bit precarious up on top. People were nice. I hit the side roads with stop and go traffic and I made it home.... eventually. If you were waiting for someone to get home on Friday night and they were late and told you a tale about a little white car with a gigantic wicker bar that is so awesome tied to the top of the car and driving so slowly, too, and made traffic slower than normal then believe them. But the bar is a amazing. Mollie loves it and some of those ATL commuters were checking out that awesome wicker monstrosity on the roof of the car. 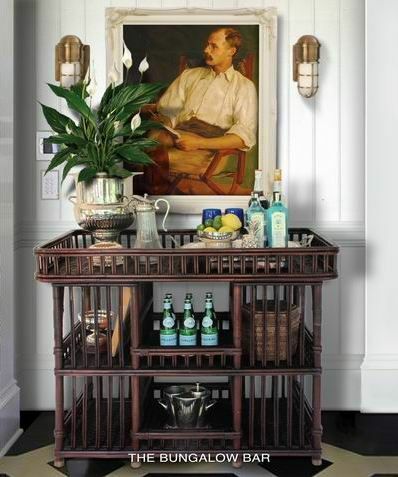 Mollie's bar isn't elephant shaped but how could I not share this image? 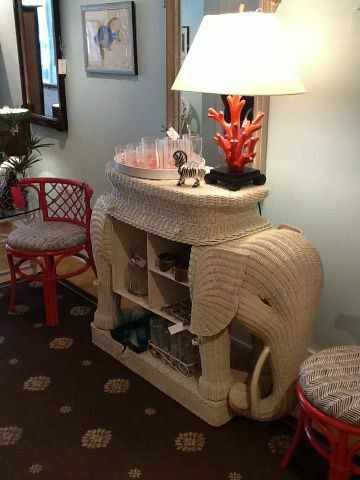 It's perfect from the coral lamp to the fact that it's a huge wicker elephant. 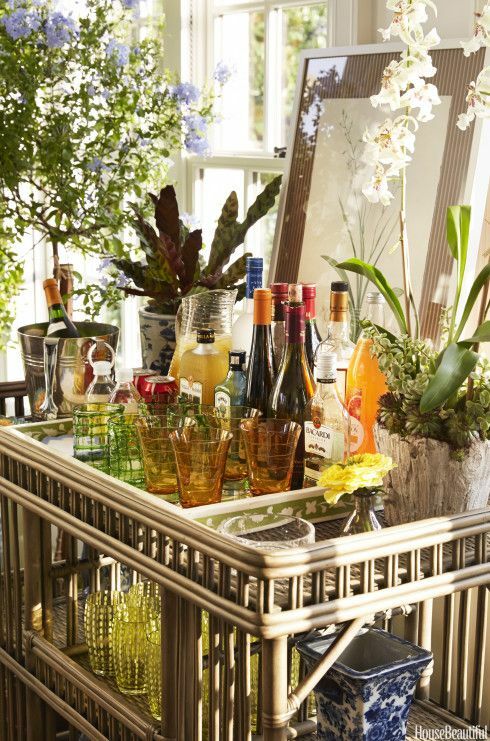 *Have bar ( and bungee cords). 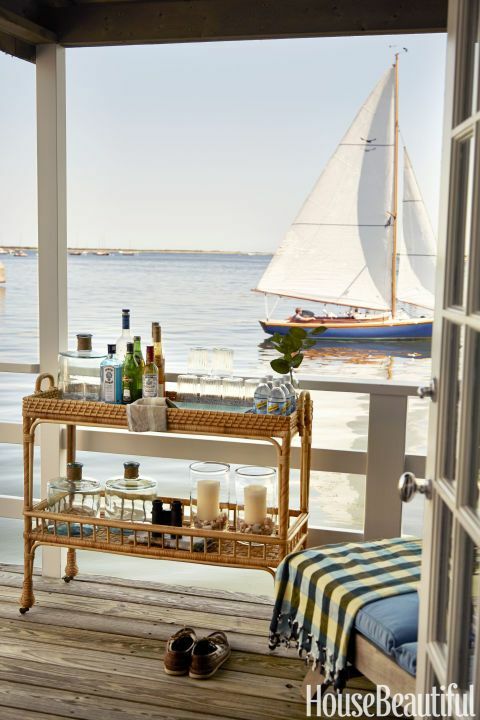 Will travel to your waterfront location. 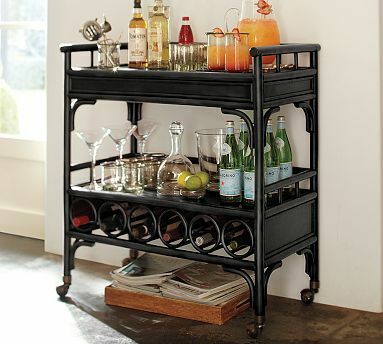 Black rattan is never wrong. This one is from Wisteria and was originally $500.00. Even with the added cost of bungee cords I paid so much less. Like less than 1/10. Mollie is so lucky to have a Mom like you ! :) Awww. Thank you. We have a ton of fun together!